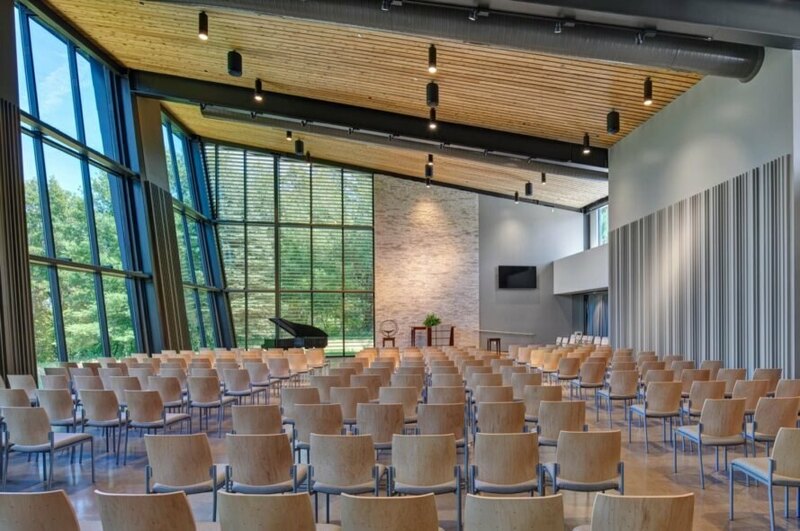 An inspiring new church in Coralville, Iowa is lifting spirits and bringing people closer to nature — while generating all the energy it needs on site. 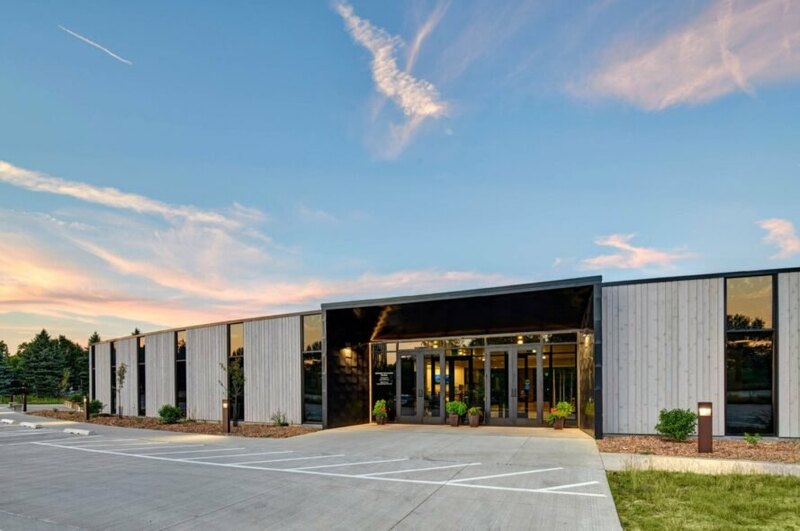 Iowa City-based firm Neumann Monson Architects designed the church for the Unitarian Universalist Society; the solar-powered building embodies the Society’s core principles with its organic architecture emphasizing sustainability, accessibility and flexibility. 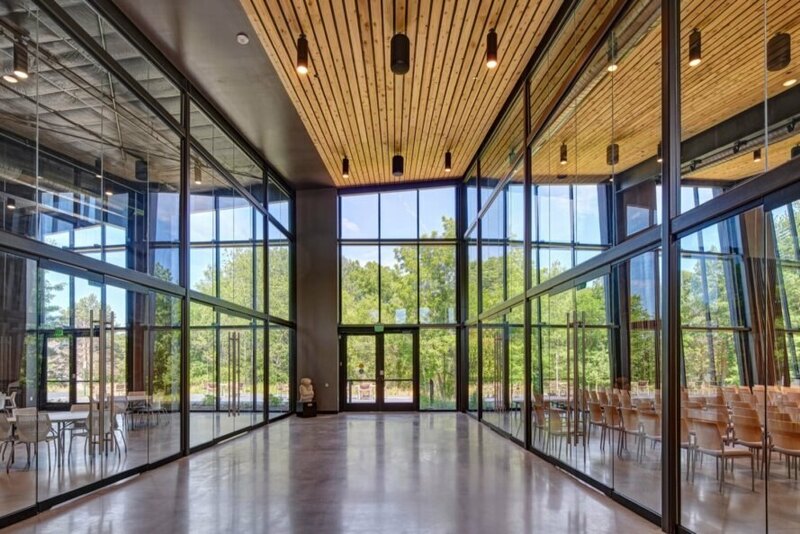 The energy-efficient building is currently on track to achieve Zero Energy Building (ZEB) certification from the International Living Future Institute (ILFI). 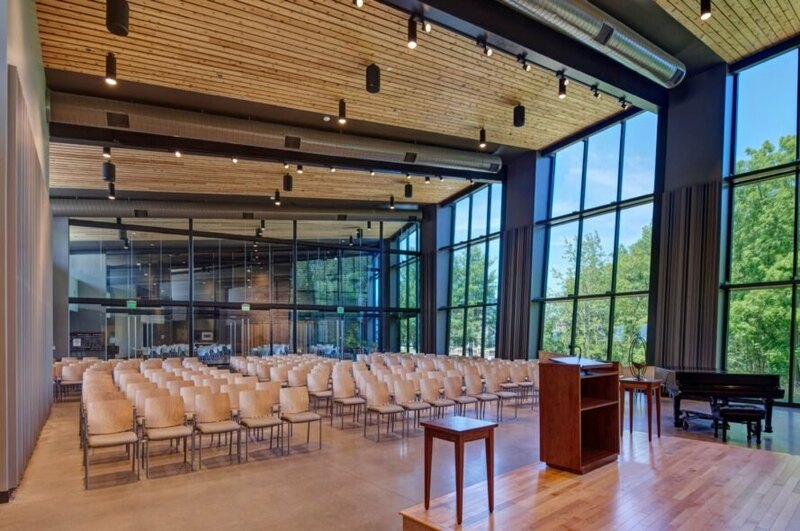 Located on an existing open clearing so as to minimize the building’s impact on the forest, the Unitarian Universalist Society was built to replace an old structure that had multiple levels and many steps. In contrast, the new building was designed for greater accessibility to create more inclusive spaces, and it radiates an uplifting feel with its high ceilings and sloped roof that culminates into a peak in a far corner. The 133,592-square-foot church includes seven religious classrooms and six offices. It was also designed with input from the congregation’s 300 members. 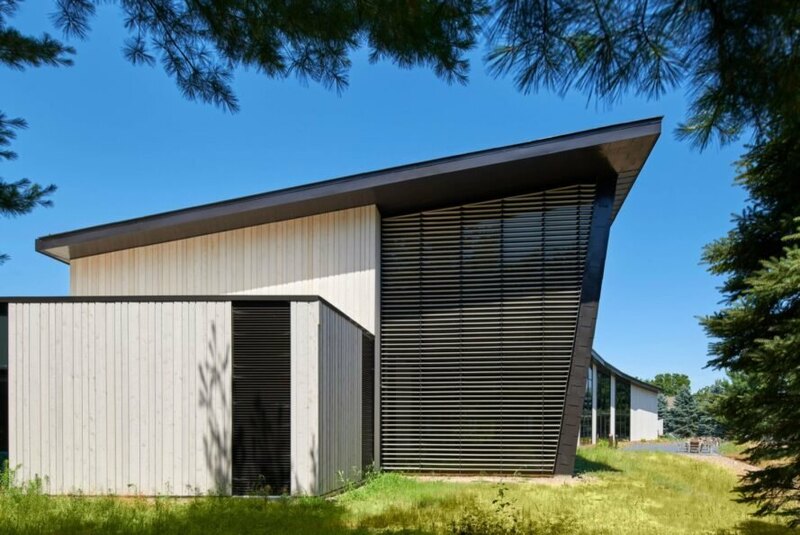 Designed for net-zero energy, the church is an all-electric building powered with a geothermal heat pump system and solar photovoltaic panels located on the building’s west side. To further reduce the building’s environmental impact, the architects installed bioretention cells for capturing and filtering all stormwater runoff. The landscaping features native grasses and woodland walking trails that engage the surroundings and are complemented with accessible food gardens. Materials from the property’s existing residence — deconstructed by volunteers — were donated to local nonprofits. Visitors also have access to charging stations. Neumann Monson Architects designed this zero-energy church for the Unitarian Universalist Society in Iowa. The building uses geothermal power and solar photovoltaic panels. A sharply sloped roof creates spacious ceilings and an uplifting vibe. The design embraces inclusiveness and accessibility for all. The congregation's 300 members helped in the design. The church offers incredible views of nature throughout.